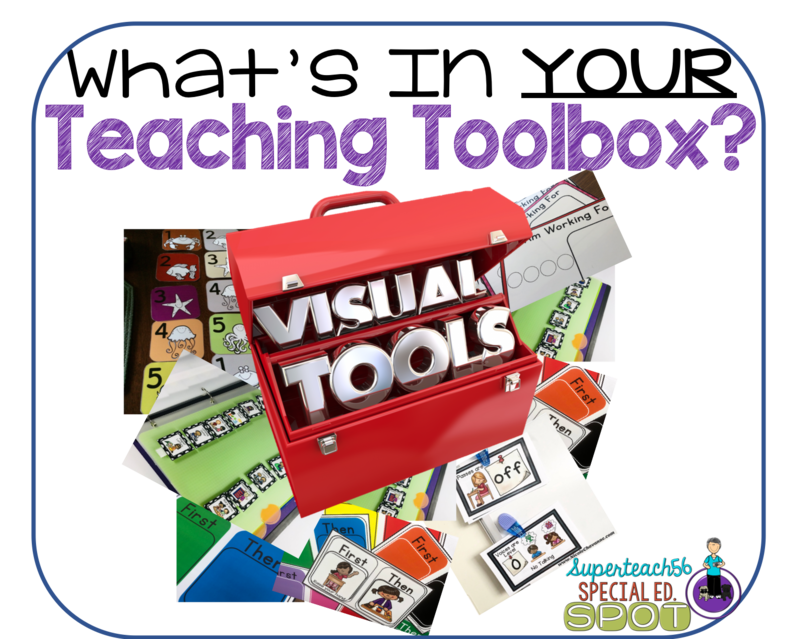 One of the best tools a special educator can have is an treasure chest of visual supports. Visual supports cover a large range of student needs. 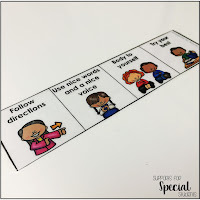 For students who have difficulty communicating with others and difficulty understanding what others are communicating to them, visual supports can be a life saver. I know they have saved me many times. 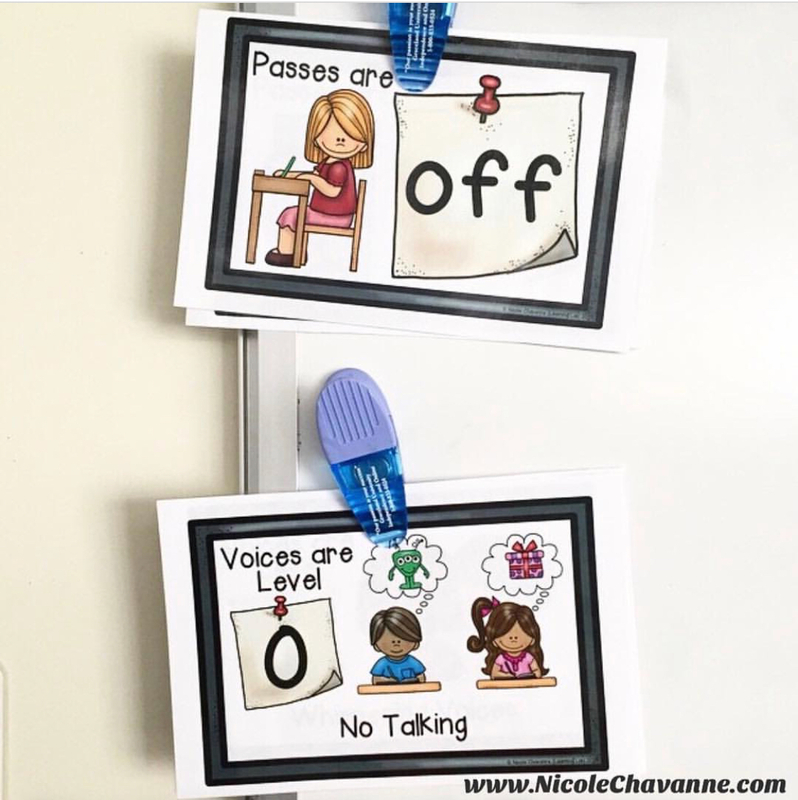 Visual supports present information in a way that is easier for kids to comprehend. 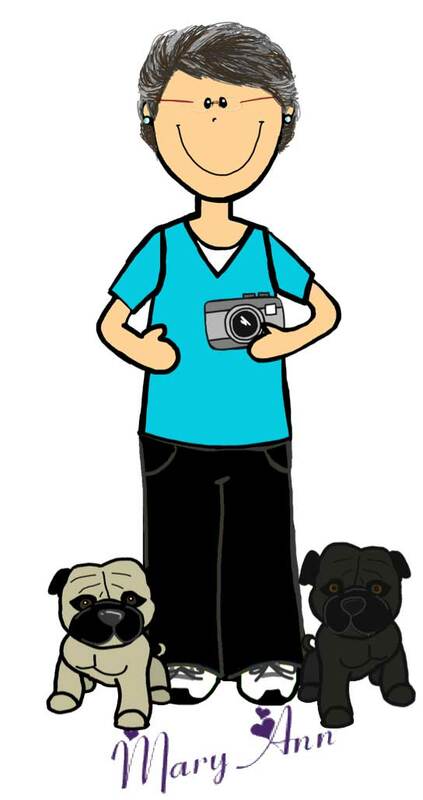 They can be customized to meet the individualized learning style of each student. Sometimes they can be that one thing that gets the message across. 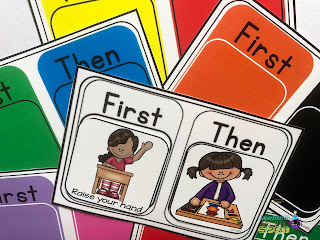 A wide range of needs can be met by using visual supports such as increase independence, understanding classroom and school rules, provide a system to organize tasks needing to be completed, aid in making choices, facilitate transitions from one task to another, clarifying what work is to be completed and in what order that work should be done. These are just a few of the things visual supports can do. In the special education classroom, we constantly work with students exhibiting challenging behaviors such as anxiety, anger, frustration, eloping, and more. 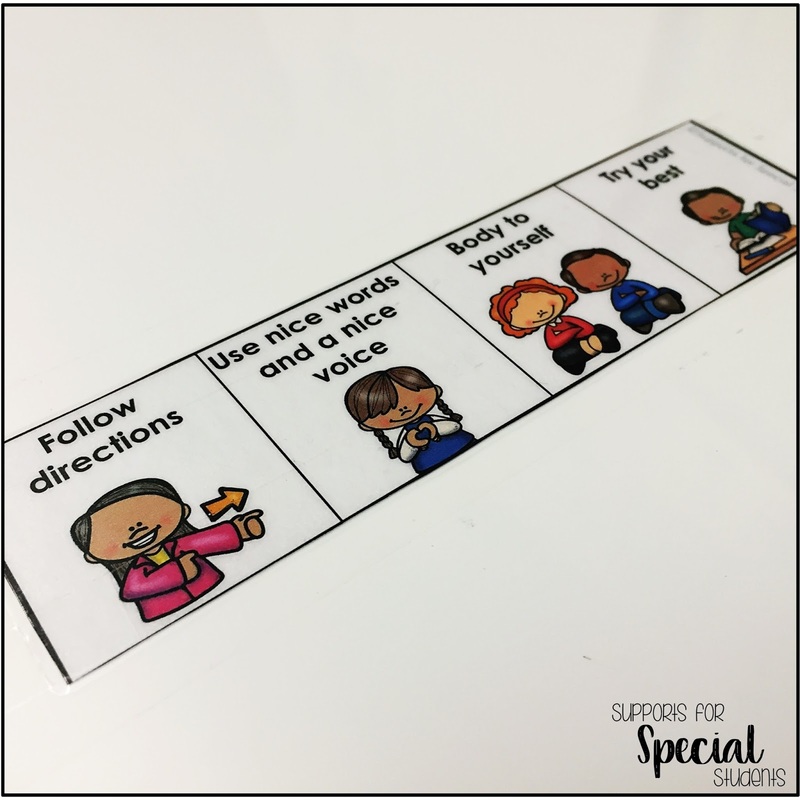 Visual supports are a great way to present behavior expectations and direction while diminishing some of these challenging behaviors. There are many different kinds of visual supports. Today I will touch on just a few. 1) Visual schedules are a great way to communicate many different types of activities in a classroom. This can be done for the entire class or group within the class. For me, using them individually has worked the best. One year I had a lot of students that were able to transition from center to center in the classroom. I needed something to help them understand what was on their schedule next and where they would be going. With this type of visual support, they were able know the order of the work centers using the number on the cards and then they could also tell which center they should be doing. They matched the sea creature on the card with the matching sign at the center. In addition to helping the student it also was great for me because it controled the number of participants at each center. 2) Checklists and organizers can help by breaking down larger tasks into smaller more manageable steps. Checklists can contain pictures or pictures and text to aid the student in completing the correct steps in things such as arriving at school or preparing materials to go home at the end of a day. 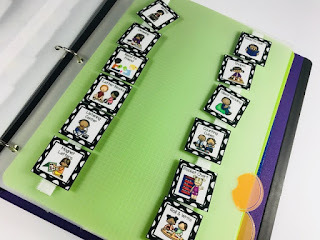 Here are a few examples of checklist and organizer visual supports. Thanks to Chris at Autism Classroom News and Resources for sharing this. manage and prevent challenging behaviors. These could include rules and guidelines of what to do in certain social situations such as fire drills, or asking someone to play. These are particularly useful in preparing the child for what comes next, and what will happen when challenging behaviors occur. Behavior supports can tell the student how to complete steps such as going to the bathroom, taking a break or asking for help. Check out how this next idea has designated partitions on the table to show the space for each person. These spaces also have a reminder at each spot for the behavior expected while at the table. LOVE THIS! Thanks to Autumn for sharing these great ideas. You can check out her blog post about these here. The visual at the bottom is a great reminder for students about the noise level in the classroom. First/Then boards can be a simple type of schedule we can use to communicate. You can use these for schedule issues and behavior issues. The great thing about First Then boards is they can be used for the even the smallest behavior you are reinforcing. In the picture below, the student is being asked to FIRST raise their hand. THEN they can have their preferred activity such as the puzzle card shown here. I found it worth my time and effort to spend some time making as much of the visuals ahead of time. For instance, I liked to make the first/then boards and the cards to go with them, get them all organized. Then when the need arises in the classroom you can pull the needed visuals and implement them quickly. 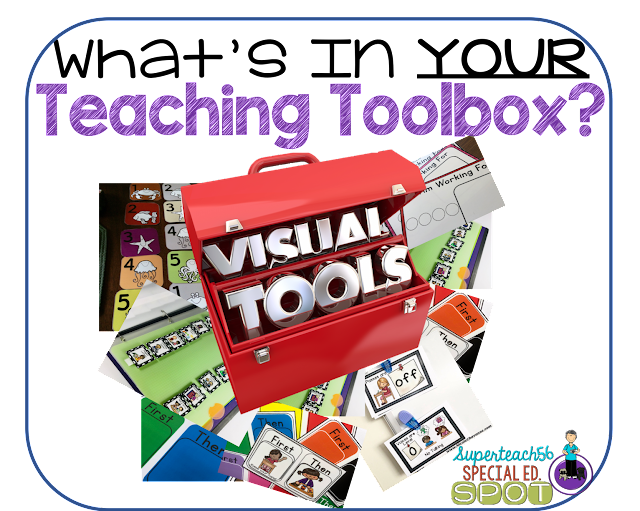 Make sure your visual support tool box is well stocked and ready to go at any time.